Sometimes being honest with yourself is a pretty scary thing. When you take off all the masks you wear; when you stop trying to perform to be loved; when you quit defining yourself by what you do and just ask yourself the question “who am I” – do you want to know the answer? That’s where I was at in 1998. I’d been in a car wreck 2 years earlier that caused a whiplash injury. I recovered for about six months and then my health started to spiral downwards. I was losing the use of my arms and hands; I was perpetually exhausted; no one could give me any answers; and, I thought I was going crazy. After a merry-go-round of specialists and no answers, I went back to my family doctor who knew me best and told him either I’m crazy or something is seriously wrong. He looked me in the eye and told me we would look for an answer till we found one. We did. I was diagnosed with Fibromyalgia (FMS) on 10/8/98. The doctor literally told me “you’re not crazy, but you do have a disorder you will have to learn to live with”. My initial response was relief. I had an answer. No more unknown, I can deal with this. WRONG. I was off work for 7 weeks, some days not even able to feed myself because of the weakness in my arms. Me, my life as I’d known it, was gone. Instead, the diagnosis opened up the grand canyon of living with chronic illness and I was standing at the edge, looking into what appeared to be a bottomless pit. As I looked into that pit, not able to go back to life without FMS and life too painful to stay as I was, a memory came to me of hang-gliding on my 38th birthday. I remembered the invisible power that literally thrust me upward to 2,200 feet as I hung in tandem with the instructor. It was so peaceful and exhilarating all in the same breath. I could not see what was holding me up, but its presence and strength was unquestionable. I remembered what I had told the instructor when he asked me that day why I wanted to go hang gliding. My response was immediate and from the heart – you know that passage in the bible that says but those who hope in the LORD will renew their strength. 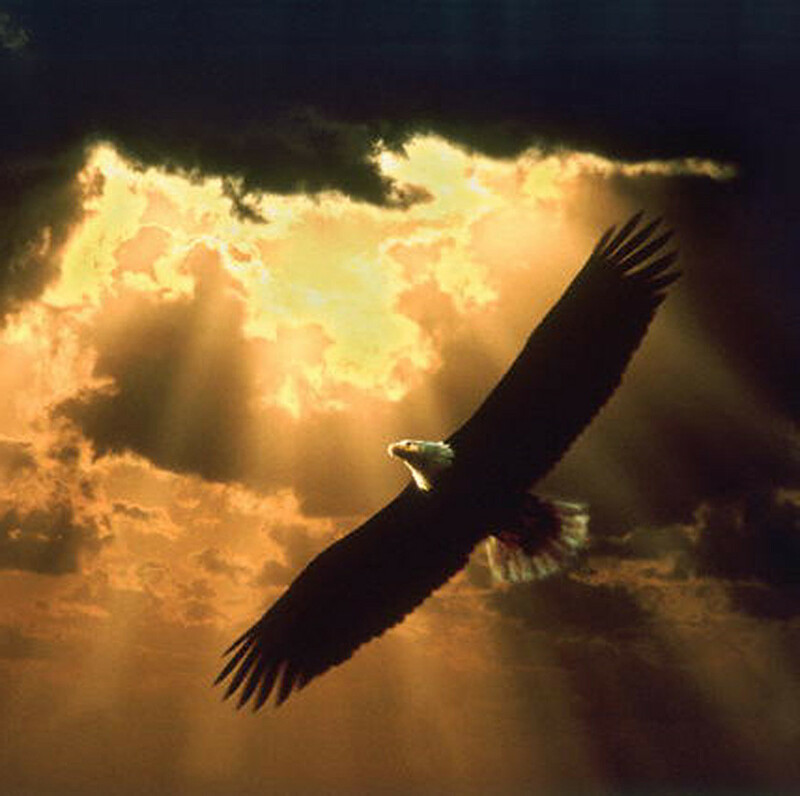 They will soar on wings like eagles (Isaiah 40:31). Well, I’ve always wanted to know what that feels like. The contrast of the memory of soaring and being sustained by a power I could not see with the pain of that moment and the pain of staying the same was so great, I thought “what have I got to lose”, so I closed my eyes and I jumped, emotionally into that abyss and physically forward into the arms of the person across from me. I felt God’s love wrap around me and with it light and warmth flooded my being. Instead of being consumed by the darkness of the pit, I experienced the love of God in the midst of the unknown at a time when I was not even able to love myself. It was my first flying lesson. You must leave what is familiar behind. Within a couple days of this event, someone who did not know what had transpired shared this quote with me. It took my breath away as I read it. Such a confirmation from my Heavenly Father – the author had experienced exactly what I had experienced. Without my even knowing it, God had taken my desperation and turned it into my first choice to hope and to have faith that God was who He said He was and would cause me to rise up on wings like an eagle; even if that choice looked like “what have I got to lose”. The literal Hebrew translation is those who hope in the Lord will exchange their strength for His. God had taken what the enemy had purposed for evil (the FMS) and turned it to His good purpose (Gen 50:20). Little did I know I had just had my first of many flying lessons! You are a talented writer, Diane! Thanks for sharing this story with us. Thank you Libby; that means a lot to me! You have certainly given ME hope on many occasions and I look forward to reading your blog as a way to continue to receive a dose of your positive attitude. God bless you my friend, although I know that HE already has.